Malka Diamonds is located in downtown Portland on SW 3rd Avenue. We're Open from 9:30AM - 5PM Monday through Friday and 10AM - 4PM on Saturdays. Our staff of diamond experts and GIA Certified Gemologists are always available to help you choose something you'll love! You're welcome to stop by anytime! WE REALIZE ENGAGEMENT RINGS ARE THE PURCHASE OF A LIFETIME. We take the time to listen and we can work with any budget to create something uniquely yours. Our staff takes immense pride in helping you get the ultimate ring that your fiance will love. We have methods to help you figure out the best design if want to surprise her or we can also work hand-in-hand with both of you to create something special and one of a kind. Our SPECIALTY is findING YOU the right DIAMOND and THEN working with you to create a one of a kind setting that matches your UNIQUE TASTe. EMBARK ON YOUR OWN UNFORGETTABLE STORY WITH SOMETHING truly ORIGINAL. WE COLLECT AND CURATE A VAST SELECTION OF VINTAGE SETTINGs. Our selection offers A CHANCE TO CONNECT WITH THE PAST AND EMBRACE THE TIMELESS DESIGNS, HERITAGE, AND STYLES THAT HAVE passed THE TEST OF TIME. WE HAVE A WIDE ARRAY Of ring SETTINGS ON DISPLAY THAT RANGE FROM SIMPLE AND MINIMAL TO THE ORNATE. OUR VATCHE AND ZEGNANI COLLECTIONS ARE JUST A FEW OF OUR BEST-SELLING COLLECTIONS AVAILABLE. JUST LIKE YOU, WE ARE INSPIRED BY BEAUTY. 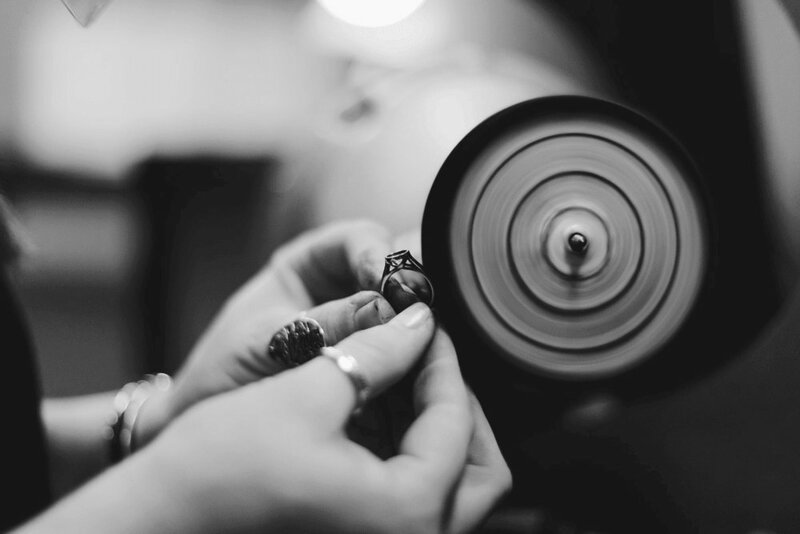 We are jewelers and artisans in the heart of downtown Portland founded on three generations of diamond expertise. Our team is devoted to our craft and our passion is delivering extraordinary quality and service for every customer. We pride ourselves on working with our customers to create iconic, unique and unforgettable pieces that stand the test of time. We will get back to you a soon as possible.